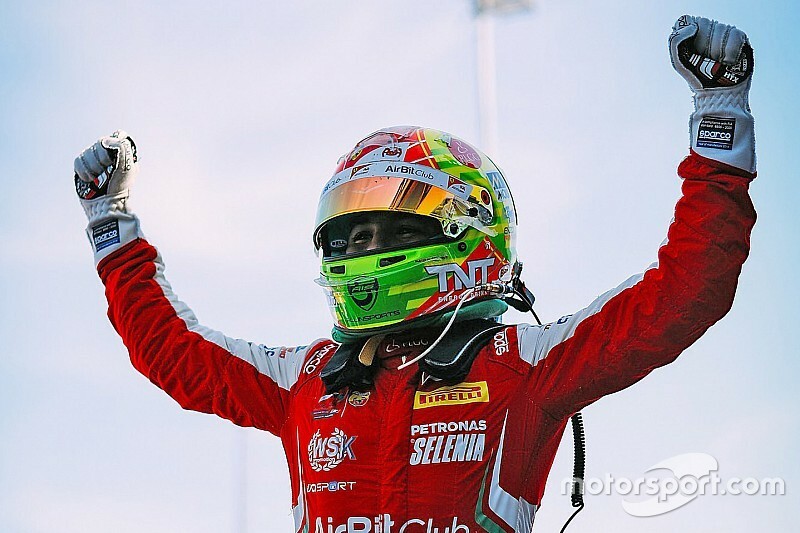 Fittipaldi's success means Prema drivers have won four of the five titles in the series' history, with three of those going to Ferrari Driver Academy racers – as Lance Stroll had won the inaugural trophy and Marcus Armstrong triumphed last year. Having beaten Lorandi to victory by 0.028s in a photo-finish in the penultimate race, Fittipaldi headed into the final two points off the championship lead. 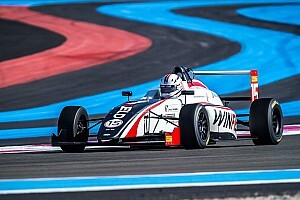 But the Brazilian – grandson of two-time F1 champion Emerson and brother of Formula V8 3.5 champion Pietro – was slated to start the finale on pole, with Lorandi all the way back on row five. As the track had been soaked by rain, the race began under safety car, although cars were soon released into battle. 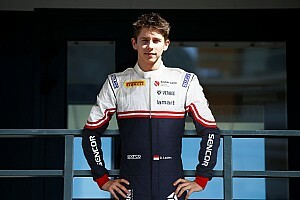 Fittipaldi fought off initial attacks from Prema teammates Gianluca Petercof and Oli Caldwell but had consolidated the lead by the time the safety car was back out for an off for Van Amersfoort Racing's Sebastian Estner. The Brazilian then nailed the second restart and checked out from the pack, only for the race to be suspended once more as more and more drivers began to struggle with standing water. With the race running to time, the racers circulated under safety car before the event was cut short by a red flag, with Fittipaldi declared winner and Lorandi finishing fifth. 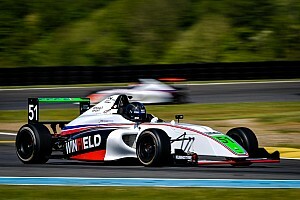 Fittipaldi's win – his seventh of the season – ensured he became champion in what was his second year in the category, as he'd outscored Lorandi overall and remained ahead once dropped scores were taken into account.